Profit and loss statements are needed by both the small and large businesses, and they use these statements for the purpose of financial accounting for a particular period. The prime purpose of drafting these profit and loss statements is that they help in analyzing the performance of an enterprise over a period. They help in getting a clearer idea of the total income and the growth, and further help data analysts to predict the future trend. Following is a list of statement templates that you can use for your business. 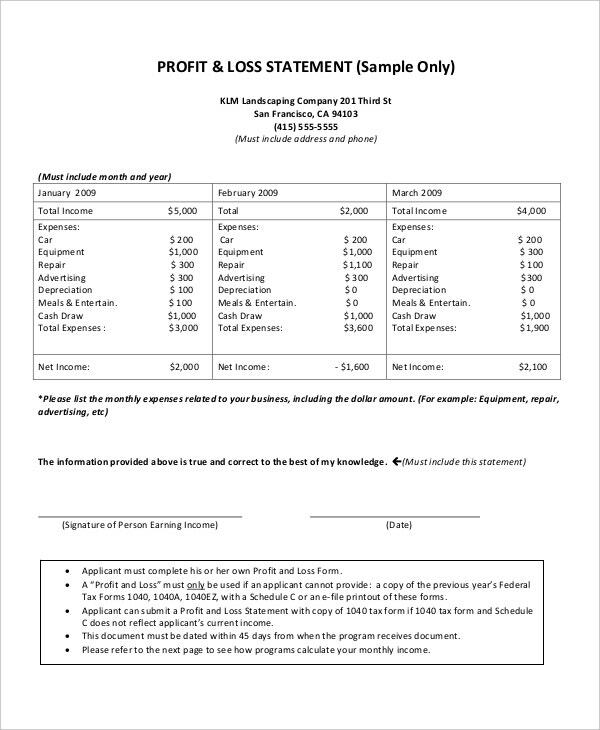 This is the perfect template that you can get if you are looking for a profit and loss statement template. 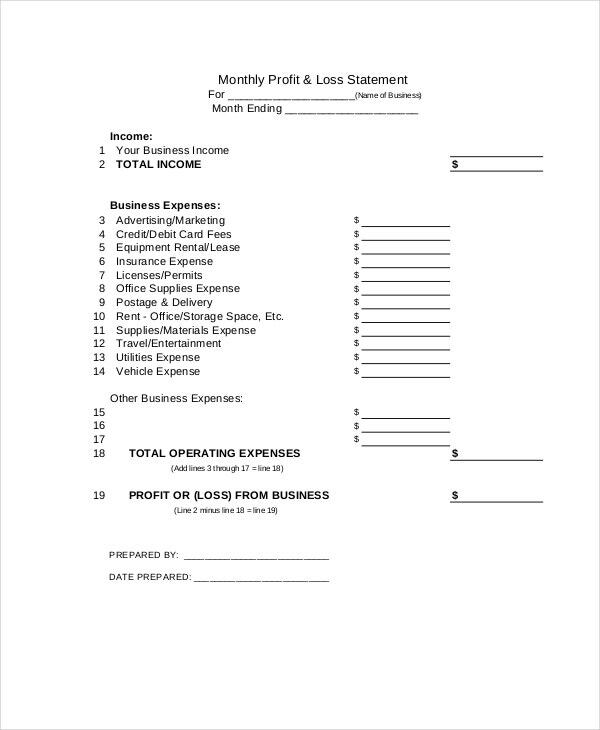 It contains multiple headings such as your total business income, business expenses, total operating expenses, etc. It is a fully customizable template. Hence, you can modify it to bring in further changes to suit your business needs. 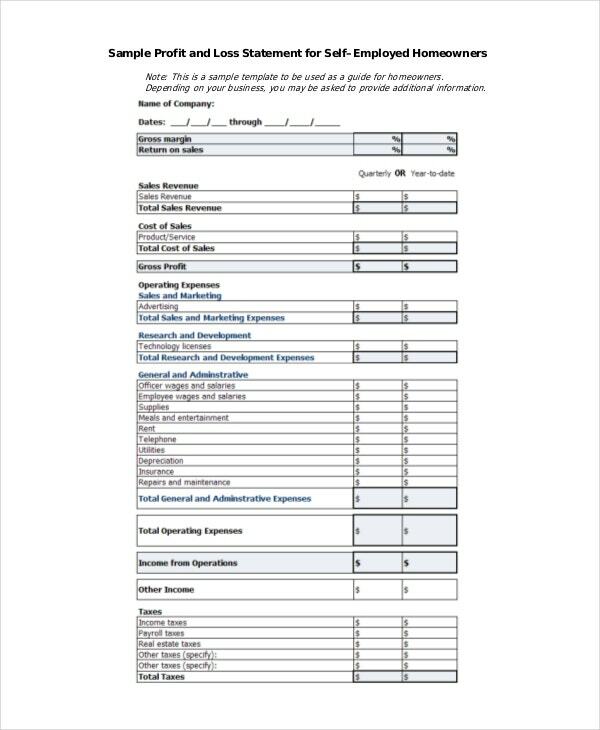 You can also check the Income Statement Templates. 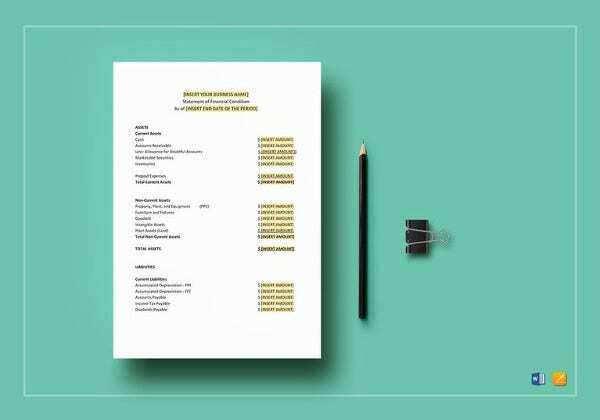 This is an ideal template that you can use for your profit and loss statement preparation. It has a beautiful and clean design with different fields for gross incomes, expenses, sales, taxes, net profits and other such details. 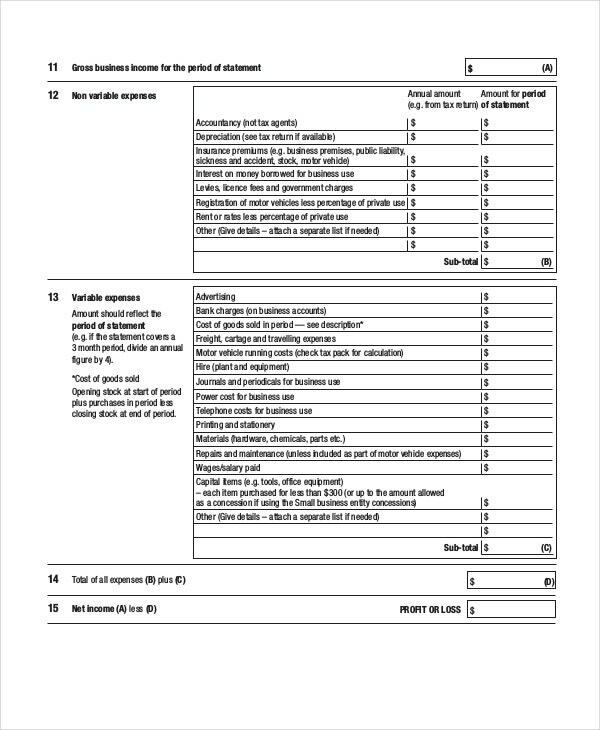 You can also check the Financial Statement Templates. Projected Profit & Loss Statement Template can be used by enterprises for making profit and loss statements, and this template can be utilized for creating statements quarterly, half-yearly or annually. It has different sections like estimated revenues and estimated expenses, under separate subheads. And at the bottom, there is an option to see net profit or loss that the enterprise has incurred for that particular period. 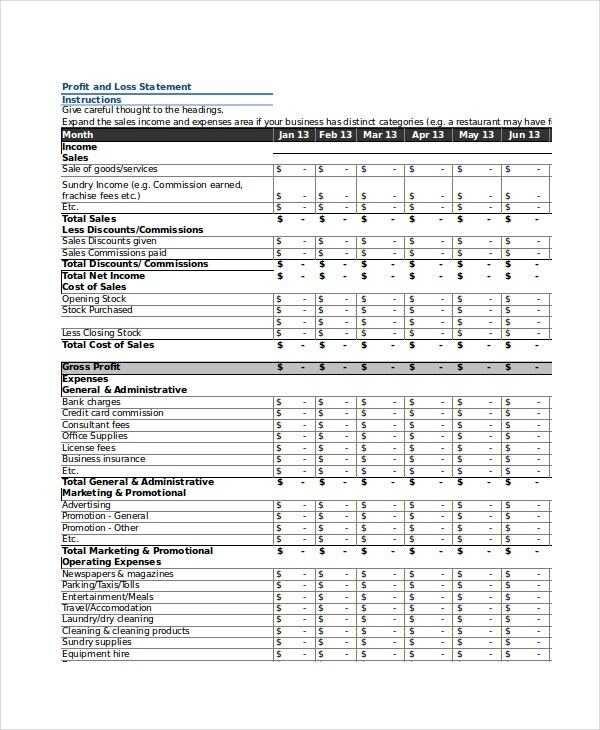 > What are the benefits of these Profit and Loss Statement Templates? For any organization, irrespective of the size, maintaining a profit and loss statement is of paramount importance. Self-employed individuals or small business owners cannot afford to have a full-time auditor to calculate their profit and loss. Hence, they need to do it themselves and understanding the different terms and provisions can be difficult. This is where our Profit and Loss Statement Templates can save the day for them. The templates offer an explanation of all the terms associated with a profit and loss statement in a laymen’s terms so that anyone can easily understand them. 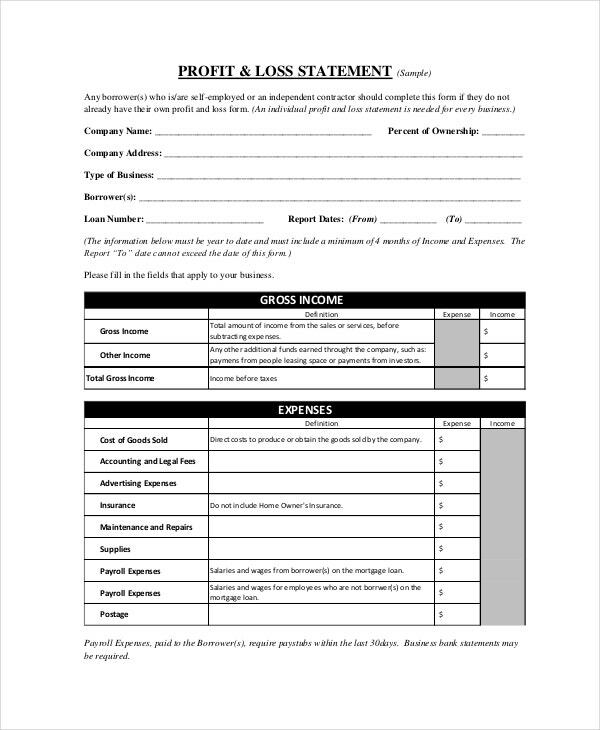 This is profit and loss statement template that any business can use effectively. It is available in Excel format. You can download the template and use it for your purpose and make any changes on it if required. 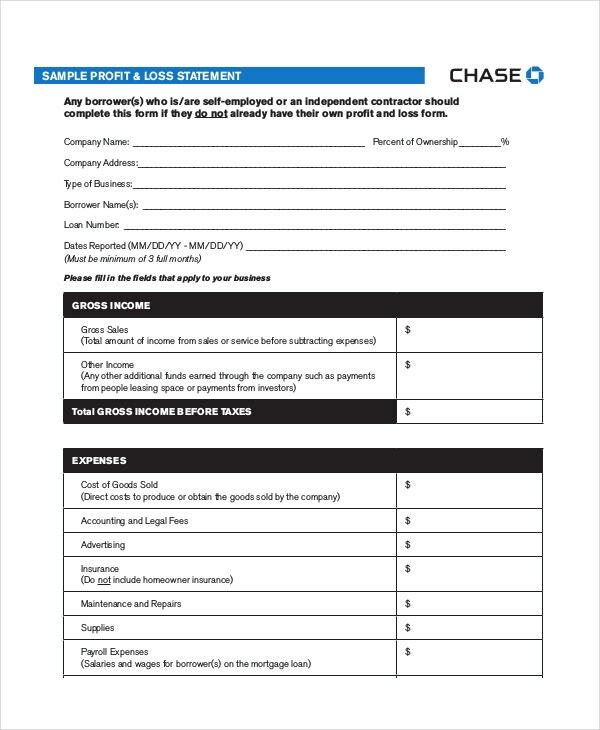 > Who can use these Profit and Loss Statement Templates? These Profit and Loss Statements are aimed at the entrepreneurs who are already established or those who have just started a business or those entrepreneurs who aspire to start a small business. 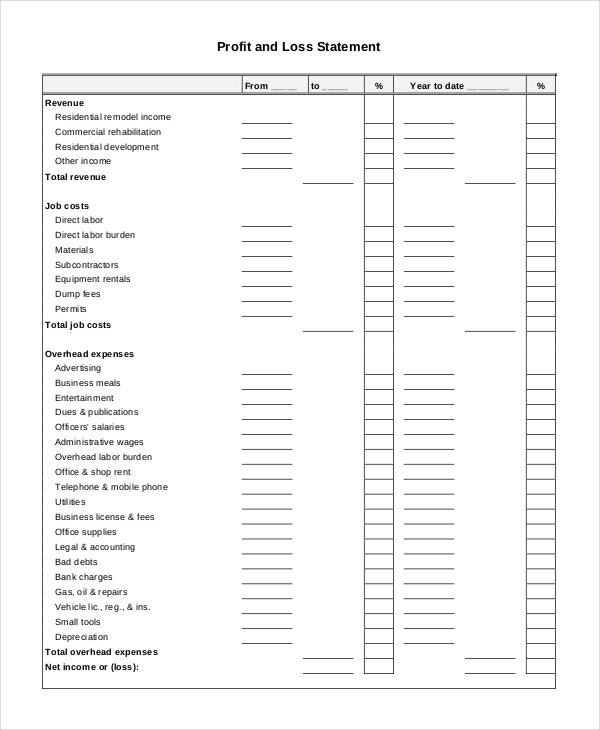 They need profit and loss statements as they act as a valuable accounting tool that helps in determining the financial health of the organization.These templates assist in identifying how money comes into a company and how it is leaving through expenses of all kinds. 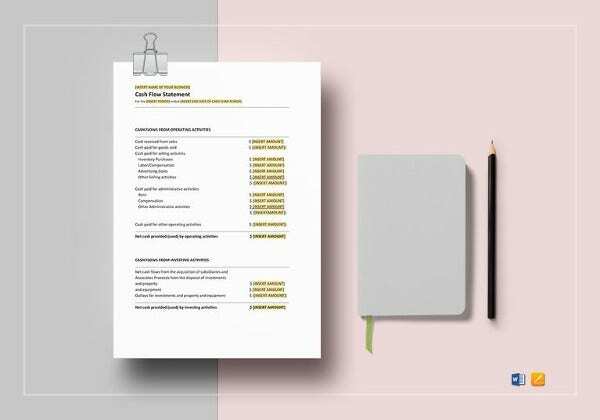 These templates contain all the information that you may require to have on your profit and loss statement, and you can use it effectively for your business for accounting purposes. 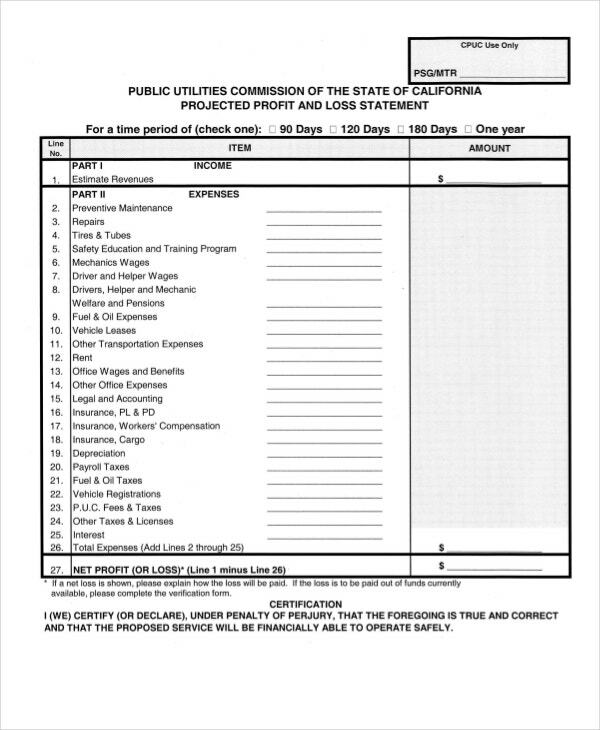 You can also see Cash Flow Statement templates. 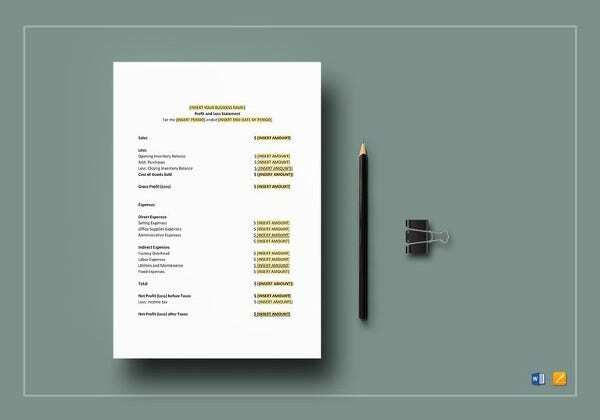 The templates as mentioned above contain the perfect format helps in explaining the different terms and provisions associated with a profit and loss statement in an easy way. 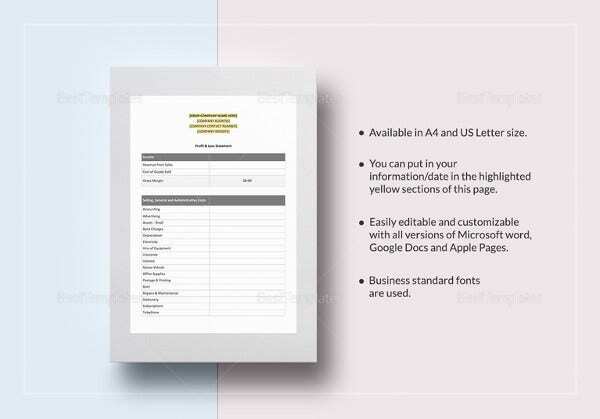 You can directly use these templates after making the necessary changes or use these templates as a reference to create your profit and loss statement.